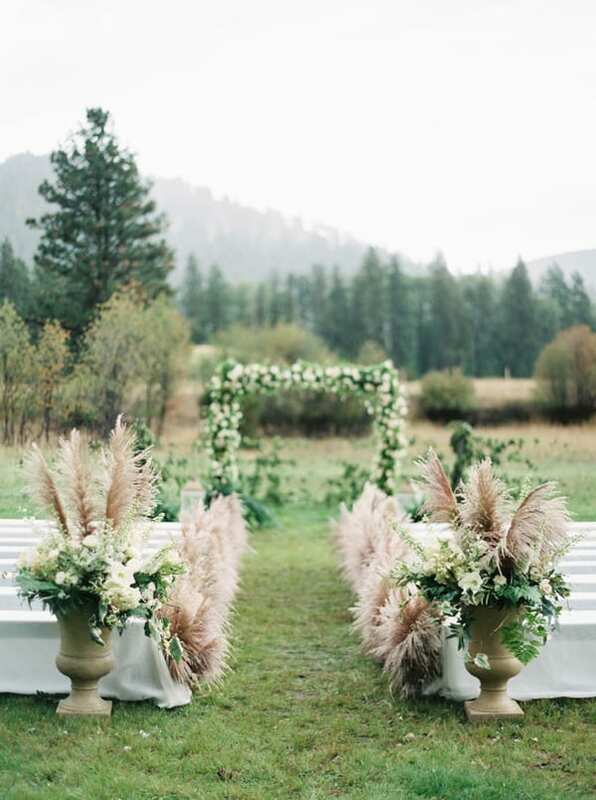 Pampas grass is the focus of this week’s Wedding Wednesday blog post. 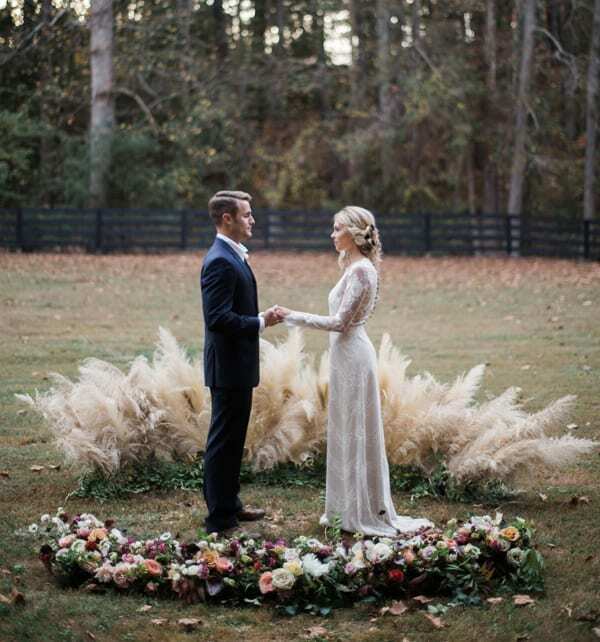 Using this ethereal, feathery foliage as part of wedding flower creations is becoming a very popular trend, not only for altar designs and aisle decor, but also chandeliers and tablecentre arrangements. 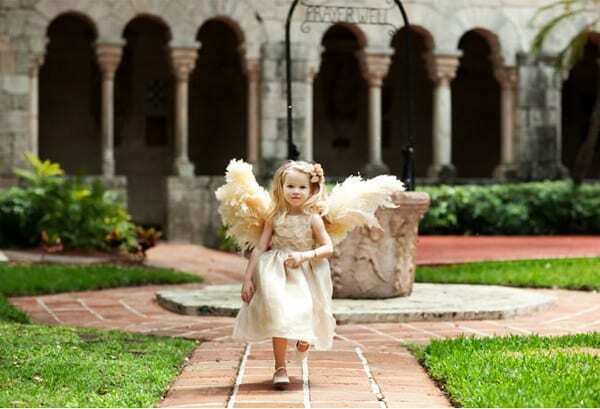 I just couldn’t resist including this gorgeous photo of a little flower girl with her pampas grass ‘angel wings’! Goodness this is beautiful. 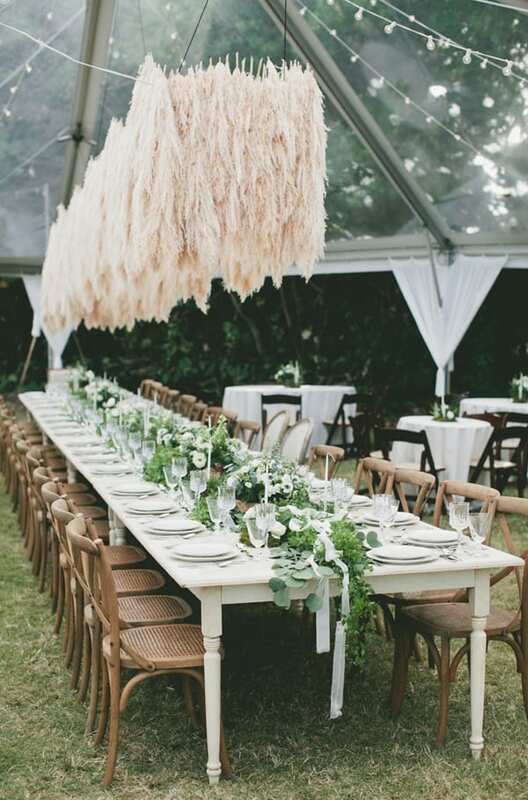 I never thought of using Pampas grass in this way! 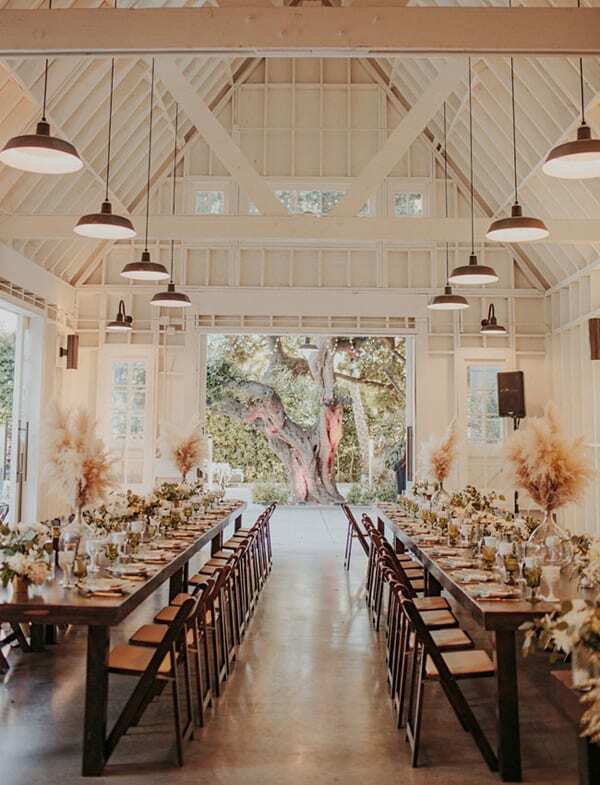 Great article and so timely for me as I want to use pampas for my wedding in May! Love these images. Anyone know where I can find it? It seems dried grass are sold in the US but I can’t find a UK supplier. Hi Georgina, thank you for your lovely comment. 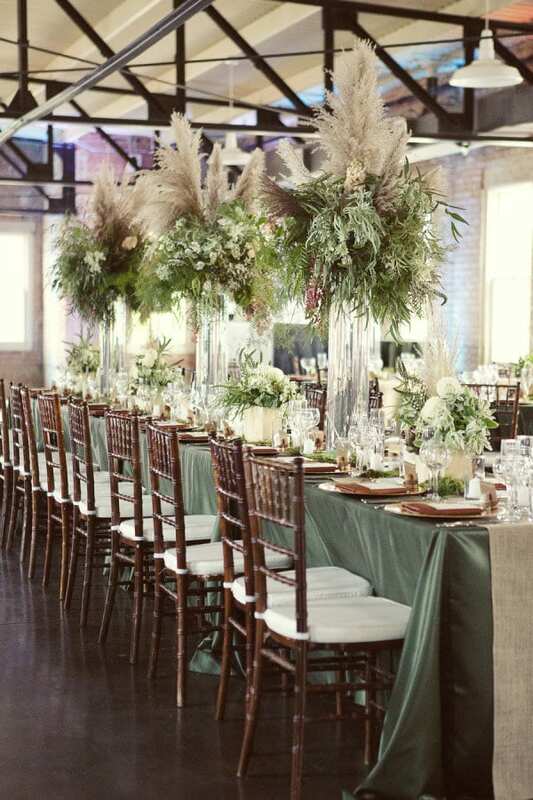 I’ve seen pampas grass at New Covent Garden Flower Market before, but it was around October/November. You could try contacting Porters Foliage and GB Foliage there though. 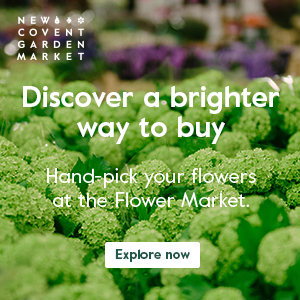 Here’s a link to their contact details : http://www.newcoventgardenmarket.com/traders?keys=foliage. Best wishes, Rona. 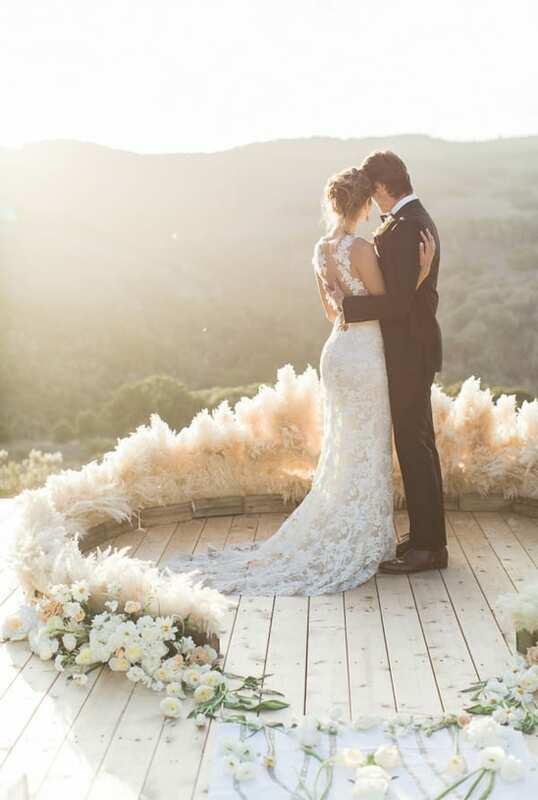 Stunning arrangements and photographs so gorgeous to see. 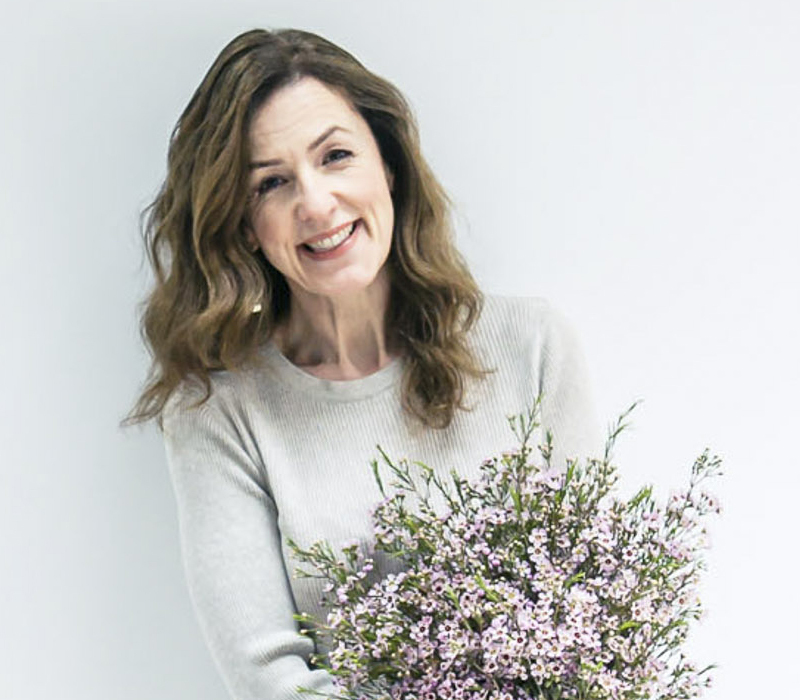 Thanks Rona your article has just taken me back to sunny days as a child growing up in New Zealand with lots of native ToeToe growing everywhere. Looks absolutely great, was wondering if it looks good when dried out. I know what I’m adding to my grass gardens here this year! These where trendy when I was a kid… 1970’s. What is old is new again. ???????? Wow! Really takes my breath!